Masters.comSergio Garcia having a bad day at the Masters. Sergio Garcia’s hopes of winning the Masters again are probably over after disaster struck in the first round. 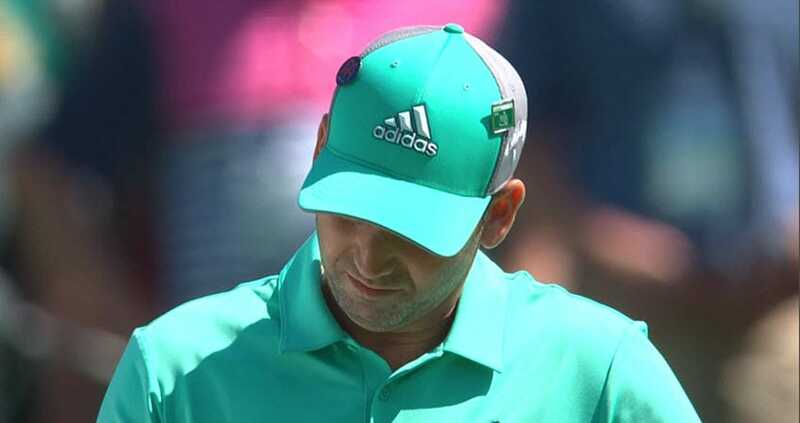 Sergio Garcia’s hopes of defending his Masters championship appear to already be gone after he had a Tin Cup moment on the 15th hole at Augusta National. 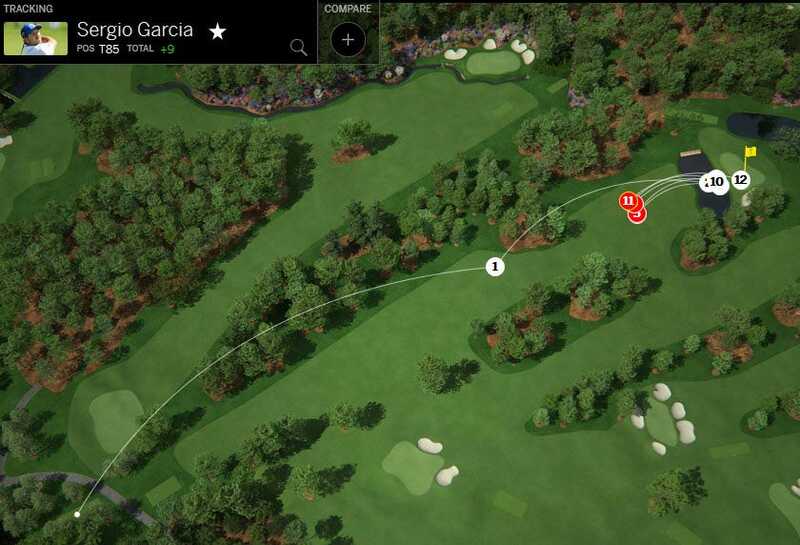 Garcia hit five – yes, FIVE! – balls into the water trying to land the ball on the green. After finally getting one ball to remain on the green, he did manage to one-putt for a 13, the highest score ever on the Par 5, by two strokes. His fourth approach attempt – again, just a few feet to the right of the hole – momentarily looked like it was going to hold up on the green, only to start speeding up and once again roll into the water. Garcia’s bad luck just seemed to get worse. He was now playing his tenth shot and just tried to rifle the ball past the hole in hopes of it staying dry. That didn’t work either. Garcia seemed to relax a tad and even acknowledged the crowd’s efforts. When this ball landed safely on the green, the crowd gave him a standing ovation.